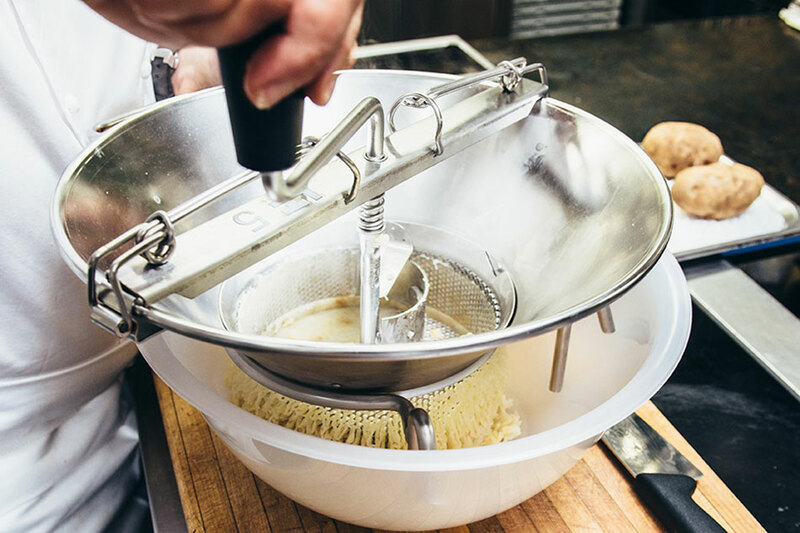 Known in France as a moulin á légumes, this classic low-tech tool treats food more gently than food processors. It purees and strains ingredients at the same time, producing a perfectly smooth, even texture. 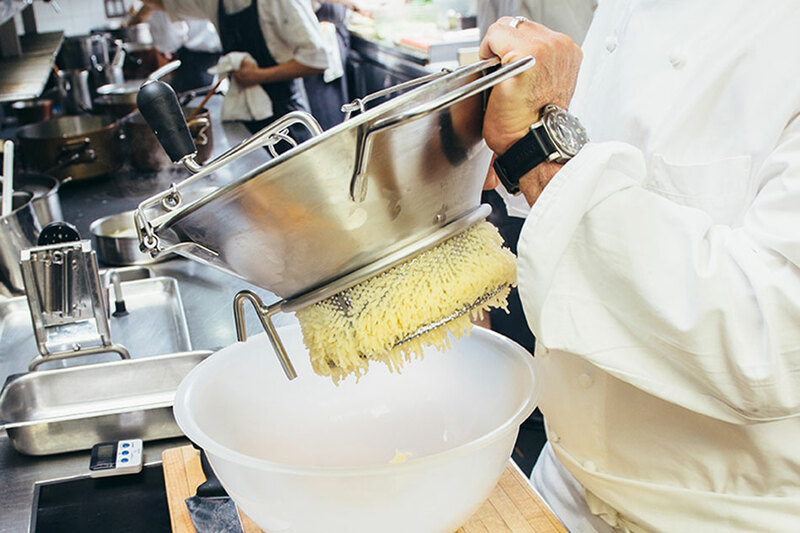 When you turn the crank, a rotating blade pushes foods through a perforated disk into a bowl, leaving unwanted fibers and particles behind. Cooks make the most of autumn’s root vegetables by using a manual food mill to create flavorful purees – the perfect accompaniment to roasted poultry and meats.Made of stainless steel, with a system of double milling on the bottom and sides. 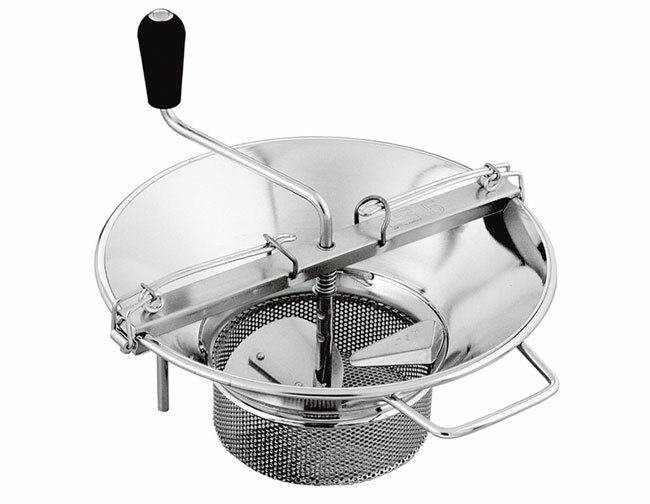 Capacity 8 quarts, produces 10 lbs per minute, fits on any pan or bowl with a diameter of 10 1/4” to 24”. Comes with 1/8” basket-shaped grid. 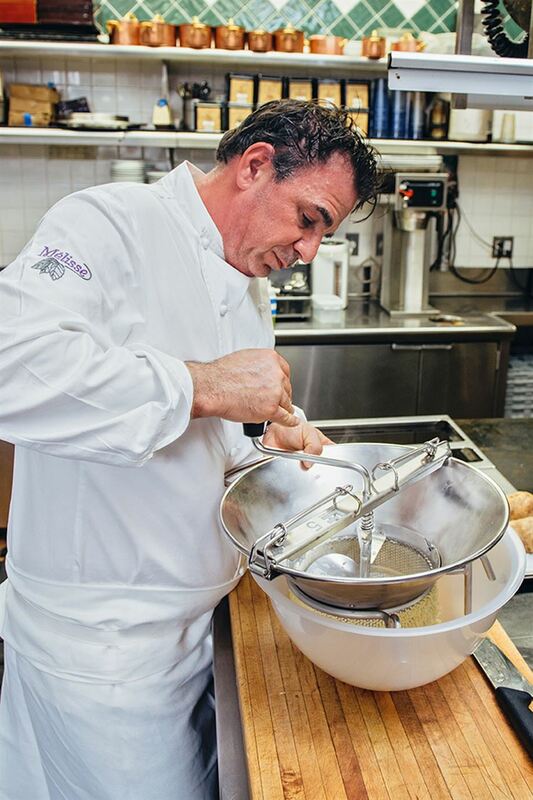 Award winning Master Chef Josiah Citrin came to know Matfer products when he began his culinary career in France and continues to use Matfer in his kitchens today. "Matfer products are the top-of-the line high quality French cooking utensils, and that guarantees a successful, excellent result. The elements we prepare at Mélisse are refined and I like that Matfer items address that."